Carlisle Academy’s Veterans Program provides services for veterans and their immediate family members. Carlisle Academy’s goal is to give those who have served our country an opportunity to learn or rediscover equestrian sports and successfully master a new skill, while providing a foundation for positive experiences and improved well being. First piloted in the summer of 2008 under the PATH International (Professional Association of Therapeutic Horsemanship) Equine Services for Heroes Program to assist veterans in their recovery and reintegration back into their communities, Carlisle’s Veteran Program has now expanded into recreational and competitive sport programs in partnership with United States Equestrian Federation and the U.S. Department of Veterans Affairs. 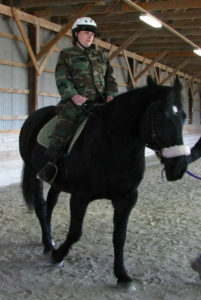 With an integrative team of Paralympic coaches, nationally certified instructors, occupational and physical therapists, and therapeutic recreation specialists, veterans may participate in any of our Therapy Services, Equine Enrichment Programs, and Equestrian Sports (Adaptive, Para-Dressage, Para-Driving or Recreational). 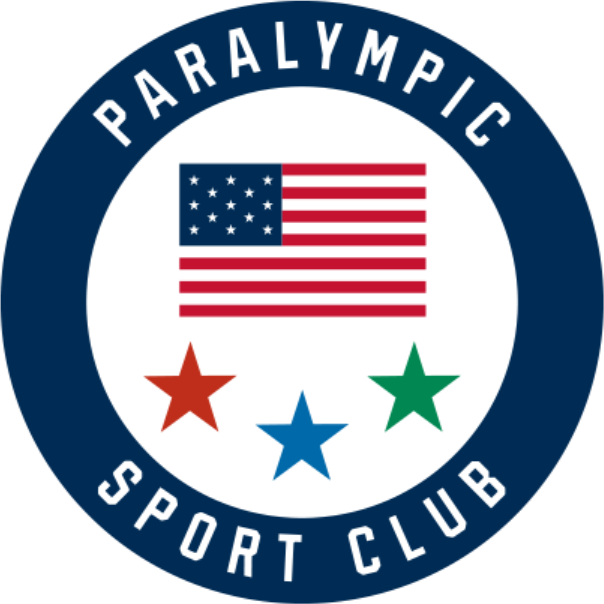 As part of Carlisle Academy’s USEF/USPEA Para-Equestrian Center of Excellence Center initiative, eligible veterans have the opportunity to train with internationally recognized Para-Equestrian Coaches to develop skills as athletes in Para-Dressage and Para-Driving both onsite at Carlisle as well as in training clinics across the nation. Whichever program is chosen, mounted activities take place in the farm’s many arenas, which are accessible to riders/drivers with ramped mounting stations and mechanical lift if needed. The Academy is equipped with specially trained horses for driving and dressage, ground-based work, as well as recreational riding. Funding is provided through various supporting organizations. Carlisle Academy collaborates with Togus VA Medical Center, the Sanford and Portland, Maine offices of Disabled American Veterans, other PATH Centers, and regional and national adaptive sport programs to offer these services to veterans with disabling conditions which may include, but are not limited to, post-traumatic stress disorder, traumatic brain injury, and amputation. Full scholarship funding is provided through various supporting organizations. Spots are limited to available funding. Application necessary. For free access to services for veterans, contact Sarah Armentrout, Head of School at 207-985-0374 or sarmentrout@carlisleacademymaine.com. 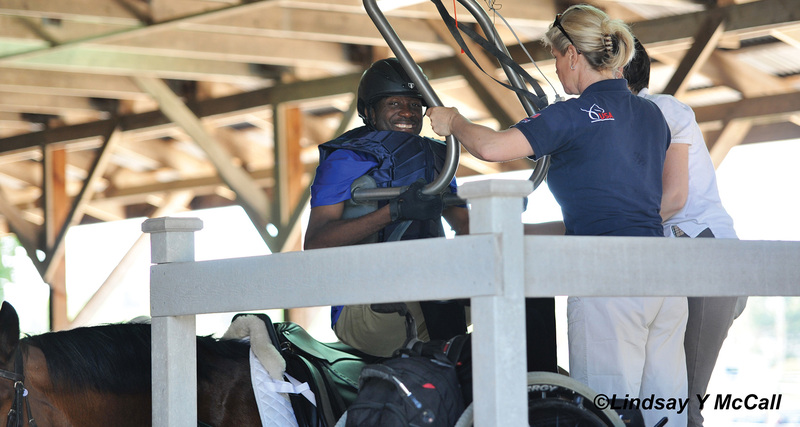 Read an enlightening article by Glenye Oakford titled “Horses are Helping Veterans Find New Joy—and a Path to Equestrian Sport” here. For more information regarding Carlisle Academy’s Department of Veterans Affairs Grant read our Press Release here. Channel 6 News put together a piece, titled “SERVICE AND SACRIFICE: HORSES KEY IN HELPING VETERANS HEAL”, to help spread the news about para-equestrian sport opportunities for veterans. Click to view.